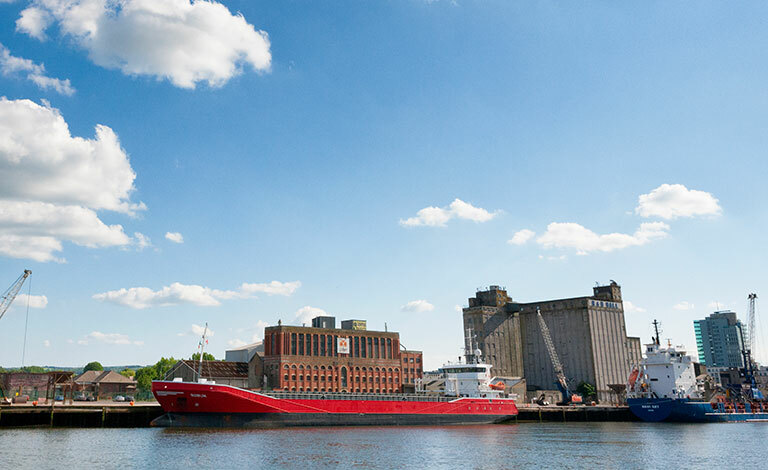 The Port of Cork is one of Ireland’s largest and most economically important ports. Over 3,000 ships and 10 million tonnes of cargo pass through the port each year, making it one of the busiest ports in Ireland. With 99% of trade by volume moving through the country’s ports each year, the efficient and effective operation of facilities is essential. In order to meet the challenges of implementing the security solution at the port effectively, and the changes of tomorrow, the Port of Cork asked ADT to provide a solution which was managed effectively and efficiently with a minimum disruption to its operations. ADT installed a state of the art Closed Circuit Television (CCTV) system and advanced Access Control system, which allows integrated security management. Automatic Number Plate Recognition (ANPR) was incorporated in the CCTV system which automatically records every vehicle embarking and disembarking the ‘roll on-roll off’ ferries. Entry to the deep water terminal for commercial ferries also has a full traffic management system with control barriers and ANPR cameras. The system is also used to provide automatic entry to certain vehicles whose registration plates have been granted the access level required. These elements were pivotal in meeting the geographical challenges of the site. By installing a cutting edge CCTV and access control system, the port operators can control and monitor movements within the port grounds remotely. This is of great importance to the Port with its headquarters in the city centre.